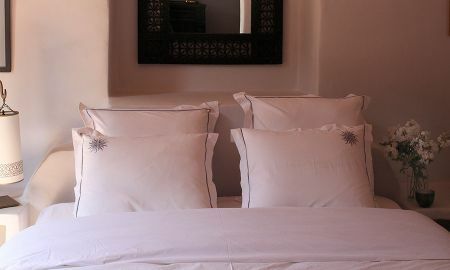 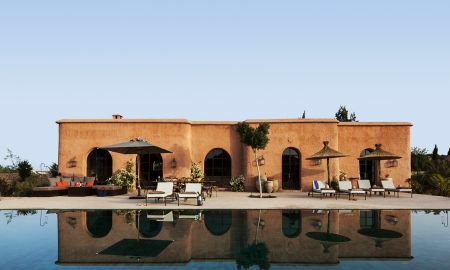 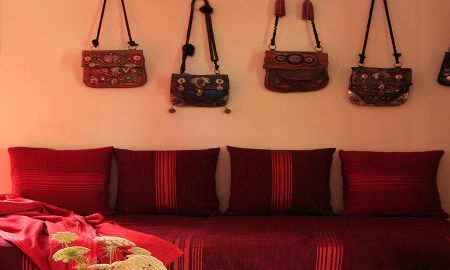 Located in the heart of the Essaouira hills, in a magnificent natural setting formed over millennia by the Ksob Oued (river), the Jardin des Douars is a beautiful guest ksar (palace) dedicated to lovers of nature, authenticity, simplicity and kindness. 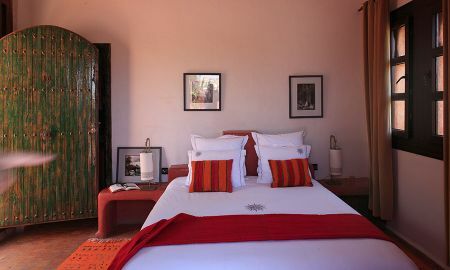 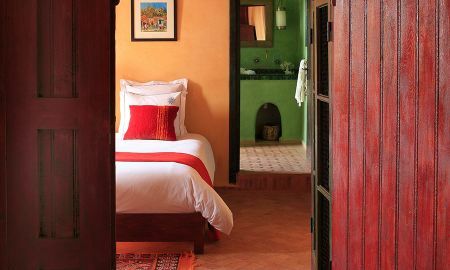 A guesthouse of charm in voluptuous forms, constructed in accordance with Moroccan traditions and materials, combining a subtle refinement of decoration with the luxuriance of a garden for real relaxation and simplicity. 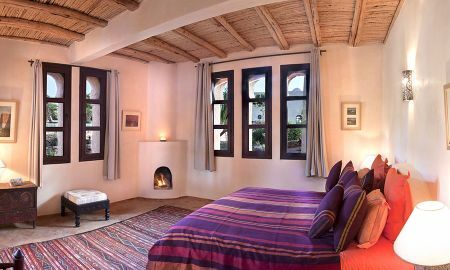 A rarely experienced luxury for discerning clientele seeking relaxation and simple pleasures, as a couple or with the family. 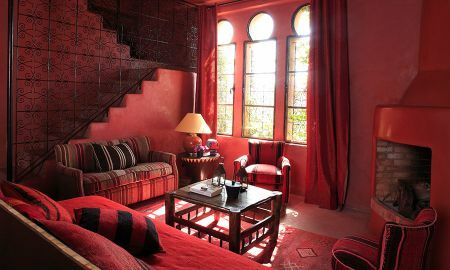 A place where you can stroll in the garden or in the nooks and crannies of the house, be massaged and pampered under the dome of the hammam, sample delicious cuisine, take an aperitif before a large hearth fire, bask by the poolside or in a remote corner of a garden paradise, and that invites absolute relaxation at all hours. 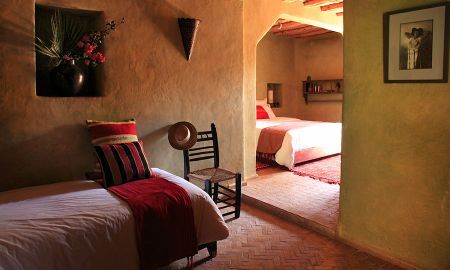 A little forgotten paradise where we easily take advantage of 320 days a year of our own sunshine. 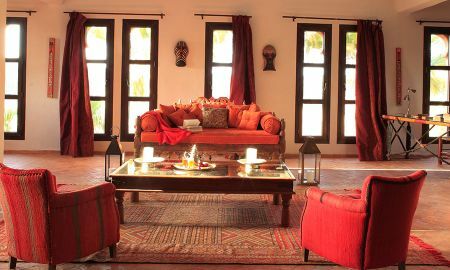 Ravishing Essaouira, with its port, ramparts, captivating Medina and endless beaches and dunes. 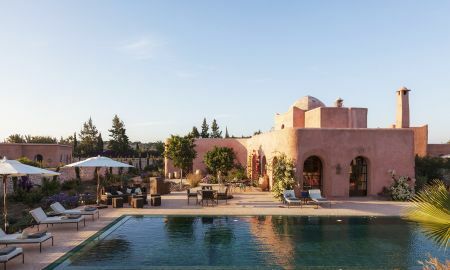 The famous Golf de Mogador (36 holes designed by Gary Player), ideal winds for windsurfing and kitesurfing, and many other activities (quad, riding, mountainbiking, walking, etc.). 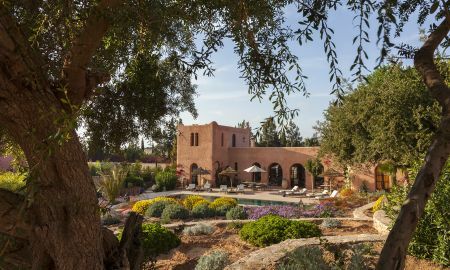 The Garden Douars is located in the countryside of Essaouira, 13 km from the Medina, 10 km from the airport and 7 km from the beaches and Golf de Mogador. 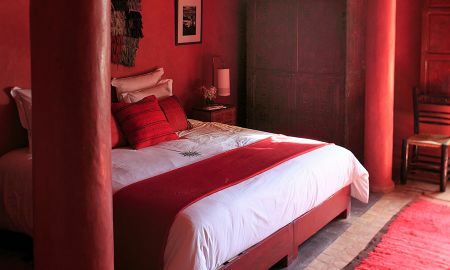 25% of the remaining balance may be charged by the hotel anytime after the booking.